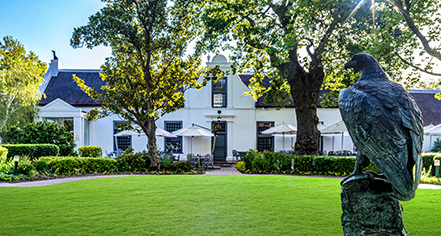 Which luxurious historic hotel, located within the Cape Winelands of South Africa has a name that translates to “Irish Valley”? 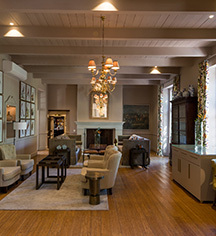 If you guessed Erinvale Estate Hotel & Spa (1917) in Cape Town, South Africa, you guessed correctly! This lovely historic resort dates back to the mid-17th century, when it once constituted a portion of Willem Adriaan van der Stel’s massive homestead. As the colonial governor for the Dutch colony of Cape Town, his enormous landholding produced a vast majority of the settlement’s food supply. While the current structure that now constitutes the resort first appeared in 1817, it did not become known as the Erinvale Estate until Edward Strangman acquired the location some five decades later. A transplanted Irishman, he bestowed the name “Erin Vale” upon the building in honor of his beloved homeland. The next three generations of Strangman’s descendants would go on to live at Erinvale. Today, the Erinvale Estate Hotel & Spa is one of South Africa’s most luxurious holiday destinations. Learn more about Erinvale Estate Hotel & Spa and book your next stay.